Justin was raised in Texas and graduated High School early at 17. He then immediately joined the Army in 1997. 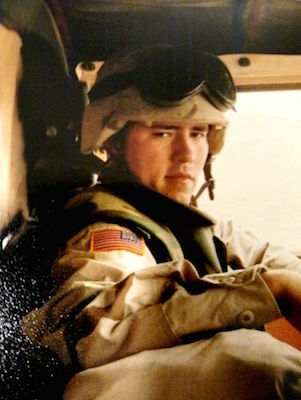 He served in multiple deployments and proudly served until he broke his back in Nasiryiah, Iraq in 2003. He was medevaced to Landstuhl, Germany where surgeons said that he may never walk again. After three surgeries in Germany and physical therapy, he returned stateside. He continued his physical therapy and eventually regained full use of his legs. He was honorably discharged in December of 2003. Justin then started in the sales and marketing field until 2009 all while continuing to have multiple operations on his back. Determined to not let his back or PTSD dictate how he lives his life, he now stays busy raising his one year old daughter as a single father. He also has a 14 year old daughter who lives in Virginia. Justin now volunteers much of his time with various veterans organizations as well as mentoring veterans himself who deal with everything form PTSD to physical disabilities. He also spends time in the gym as a personal trainer helping others realize that they too can overcome the various hurdles within their lives.